With outdated system drivers you could be looking at a slow system replete with freezes and crashes so it’s best to keep them updated as much as possible, but this can be a time consuming process if you’re manually searching them out so I started looking for a decent automatic driver updater this morning and after going through several options (most of which had archaic interfaces) I decided that Uniblue Driver Scanner 2014 was the best one I could find. Like similar programs out there, with a click of a button it scans your hardware and finds all your outdated drivers. 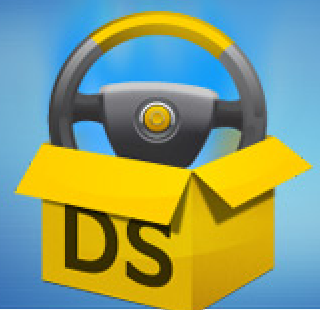 With another click you can install driver updates automatically, quickly and painlessly. It even creates restore points before driver installation just in case a problem arises (none did). In the end I had at least 10 drivers that were Ancient, and were thusly updated within seconds. I recommend you give Uniblue Driver Scanner 2014 a shot if you’re not into hunting down drivers manually. As per usual, the free version will scan your drivers and tell you which ones need updating but you need to pay $29.95 (for a year’s subscription) for it to actually do anything about them. A worthwhile investment, though! PROS: Quick download and installation of drivers with no fuss and no muss. Easy to use interface for even the most novice users. CONS: There’s no freebies given here. The free version only allows you to see what drivers need updating but you can’t update until you pay, unfortunately. Know of a better piece of software for this purpose? Possibly freeware solutions? Let us know in the comments below. UPDATE: I wrote this before reading all the reviews (scroll down for the user reviews) for Uniblue. Apparently, no one likes that Uniblue is another company that will rub in your face that you have issues with your computer, but in order to fix them you must pay (well, they do give you 15 free fixes at least). I’m not sure this is enough to damn the entire company altogether but it’s something to think about.